Ängelholms Hembygdspark is a successful combination of an adventure, animal, and museum park. 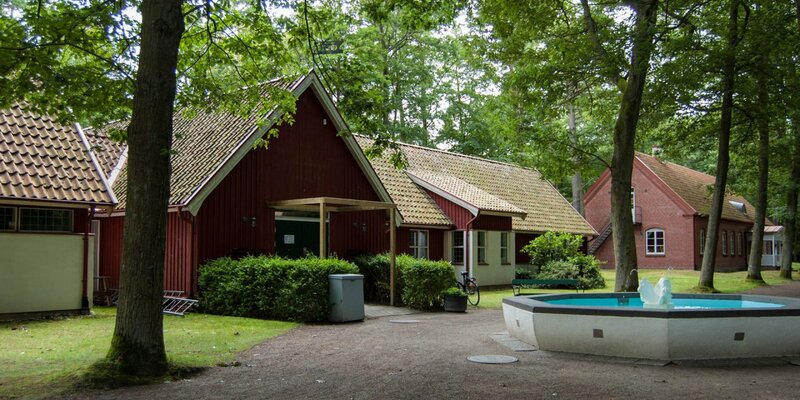 The large complex is located on a wooded hill at the edge of the city center of Ängelholm and offers recreation and entertainment for the whole family. 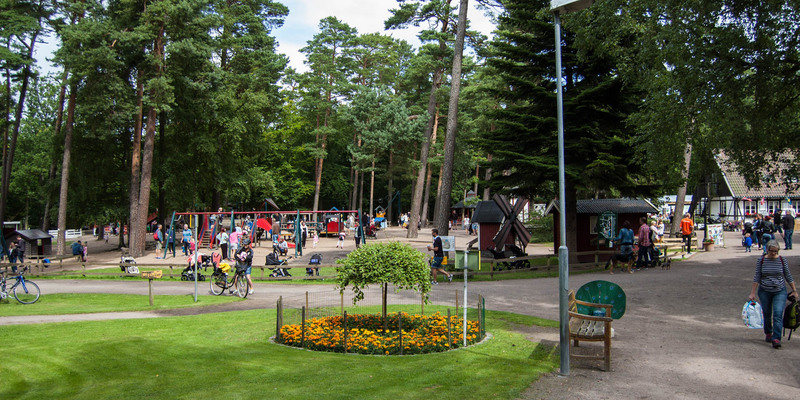 In addition to a large, very well-equipped playground and a modern high-ropes course with four lanes, there are walking trails, various resting and picnic areas, a restaurant and a known and well-attended ice cream parlor in Ängelholms Hembydspark. In several large animal enclosures you meet horses, deers, goats and rabbits and in the aviaries are different types of pheasants. Furthermore, there are several small interesting museums within the park grounds. 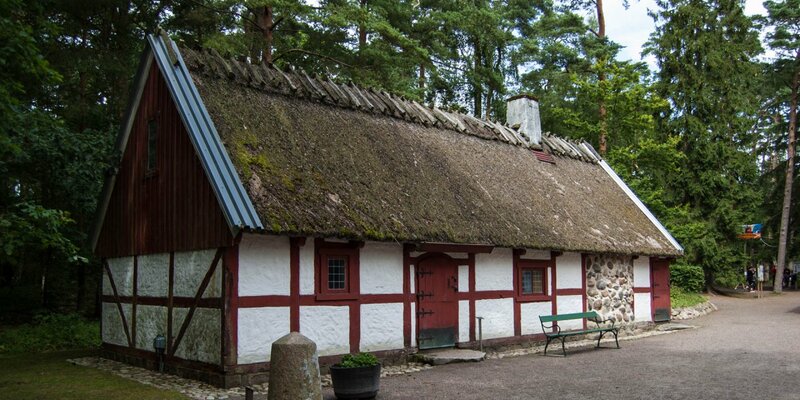 There is the Luntertunstugan, a fully equipped farmhouse that was originally built in 1673 and is in the park since 1935. Another museum is Grönvallska Gården, the house of leather manufacturer Ludvig Grönvall built in 1817. The house was moved into the park in 1936-37 and is today furnished as a residential house dating back to the 1900's. The technical museum in the park was built and established in 1992-93. Here you can see old machines and workshop equipment, old bicycles and motorcycles and various old cars from different eras. Among them is a 1899 Oldsmobile, probably the oldest car in Sweden. In the school museum is an old classroom with teaching materials from schools in the region, as well as a large collection of old class photos. 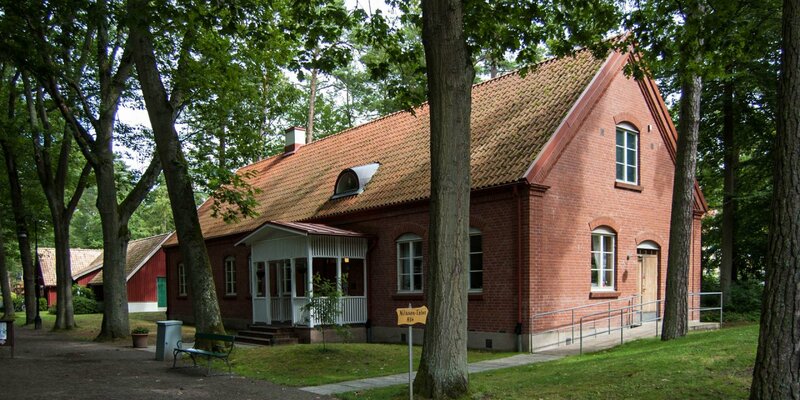 Furthermore there is a leather and local history museum with machines for leather production and a workshop for the manufacturing of slippers as well as exhibits about local history and development of Ängelholm. The park is open all year around and the entrance is free, the museums are open only during the high season (June to August).